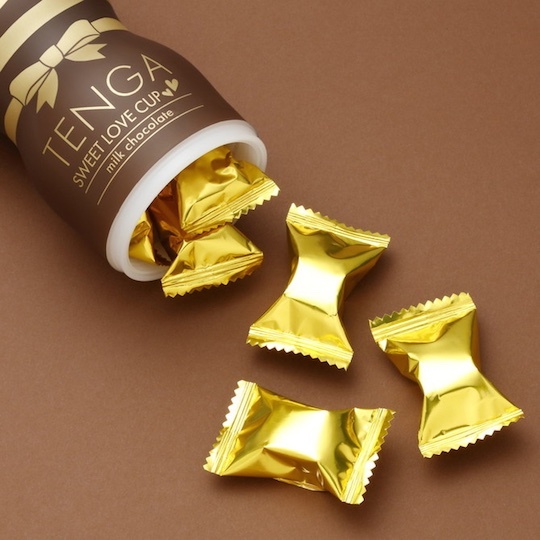 A special item for Valentine's Day 2019, the Tenga Sweet Love Cup is available in three flavors (strawberry, milk, white) and is inspired by the chocolates you might give your loved one on that most romantic of days. 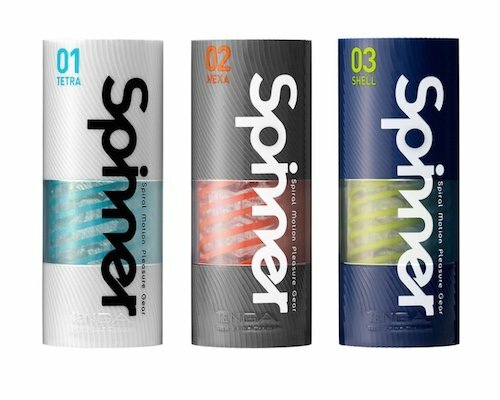 Tenga has made its brand mission to fulfill all your masturbation needs in style and now you can wrap up a session with some adult desserts. 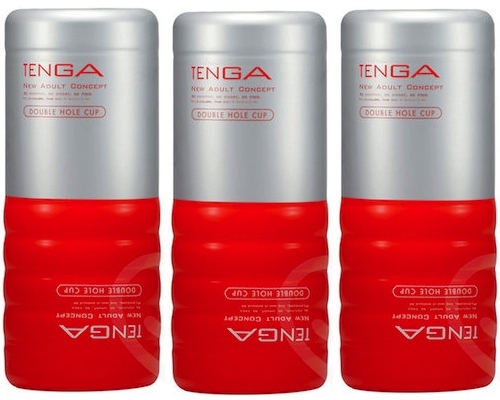 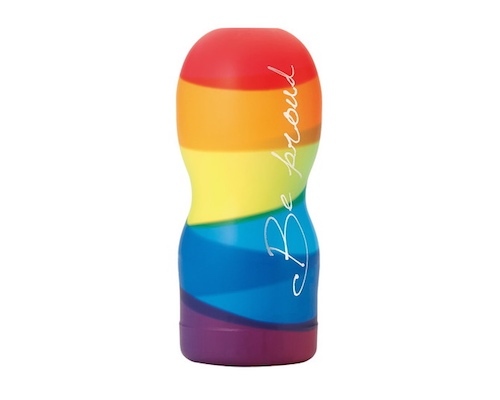 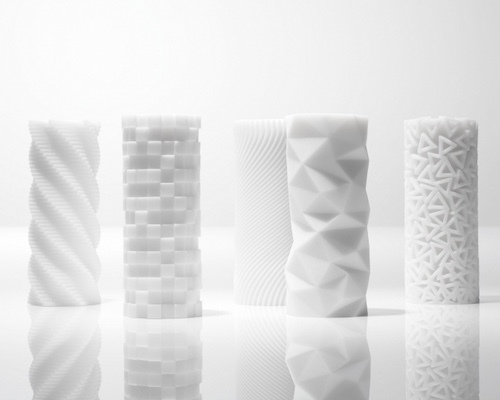 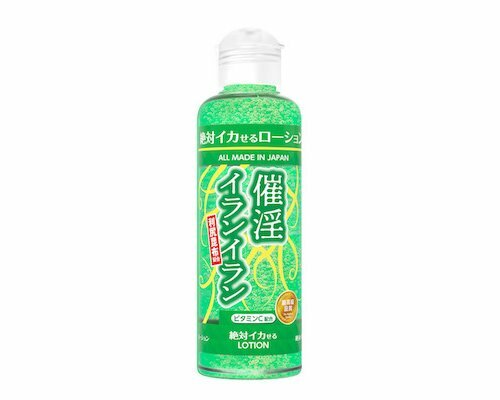 Despite the exterior, this is not a regular onacup but will certainly delight fans of Tenga's designer masturbation aids the world over. 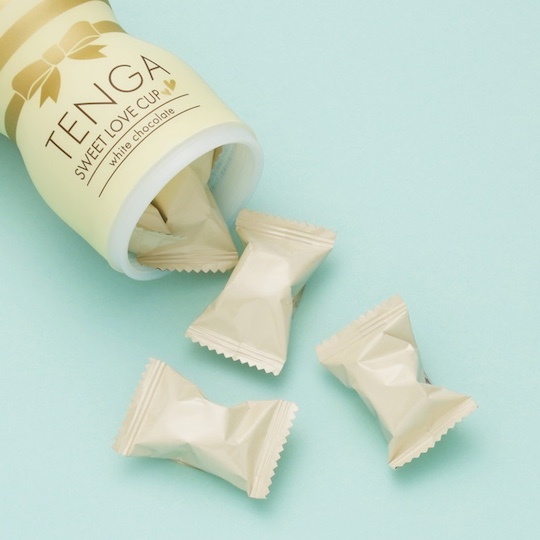 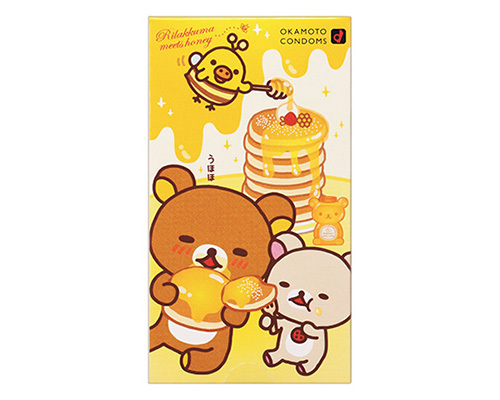 Pop open this cup and enjoy 12 sugary treats, in the three flavors.